But for one historic day, the crossing of the Caen Canal at Benouville would have remained completely unremarkable. It sits in a quiet part of Normandy which may have never come to prominence but for the fact that it was on the left flank of the greatest seaborne assault in history. In 1935 a canal was built to provide deep water access between the coast at Ouistreham and the industrial areas of Caen. 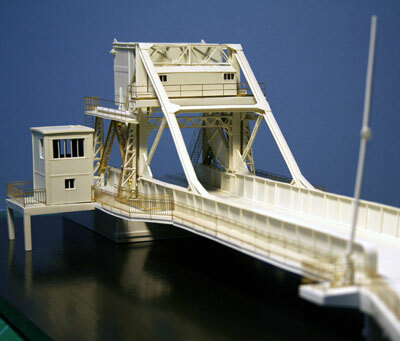 The only road crossing to the north of Caen was between Ranville and Benouville and, in order to allow shipping to pass, the canal bridge was built to be able to lift, clearing the 90 feet between its abutments. At sixteen minutes past midnight on Tuesday, 6th June 1944, the first of three Horsa gliders landed within yards of the Bridge. Inside the gliders were the men of D Company, 2nd Ox & Bucks Light Infantry, led by Major John Howard. In an astonishing coup de main operation, they captured the bridge intact. With the assistance of the paratroops of 7th Parachute Battalion they managed to hold the bridge until relieved by leading elements of the seaborne invasion over twelve hours later. 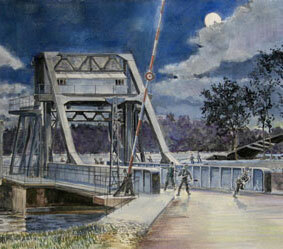 Because of the part played by the Airborne troops in it capture, the bridge was renamed Pegasus Bridge. 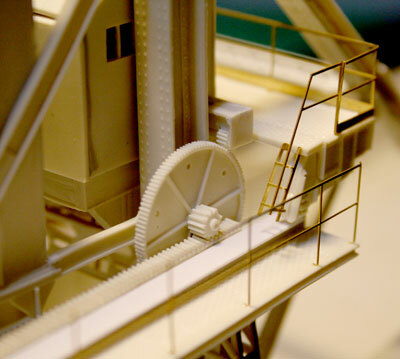 The 1/76 scale kit is an extraordinarily detailed mixed media construction model is rendered in resin and etched brass. 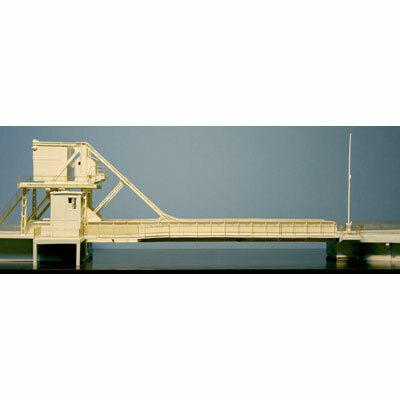 When built, it measures approximately 745mm x 245mm x 180mm. 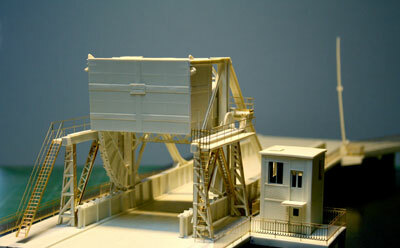 The Pegasus Bridge model is a big casting and so is made to order. Please allow four to six weeks for delivery. Call or e-mail for details.